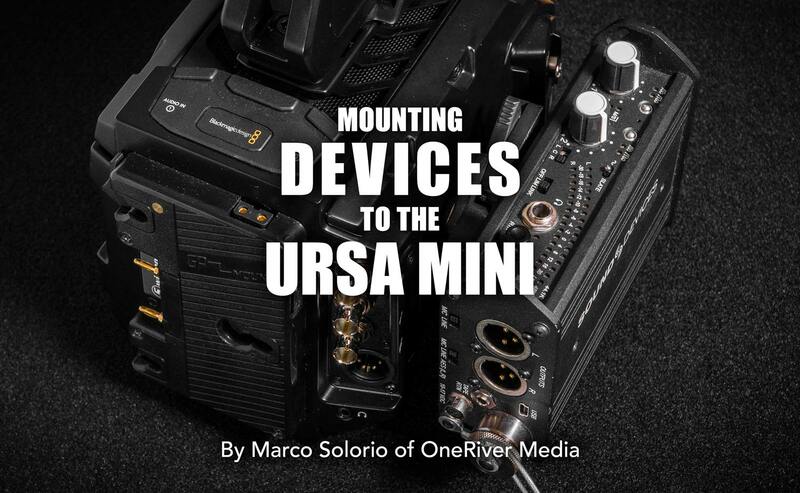 In this quick URSA Mini tips post, Marco Solorio of OneRiver Media shows how to mount devices to your Blackmagic Design URSA Mini using a quick-release mechanism. 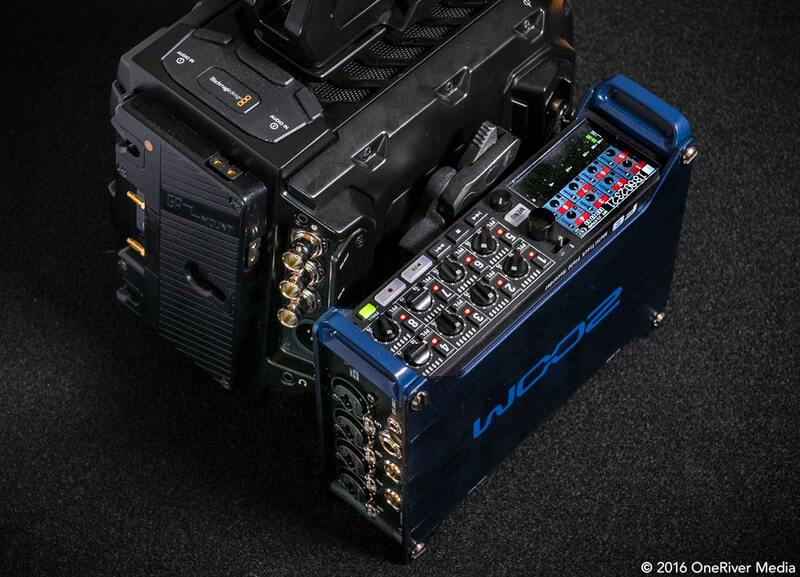 In this example, the Sound Devices Mix Pre-D is mounted to the URSA Mini. Best part is that the parts are relatively inexpensive to buy and very easy to assemble. This method also allows for both horizontal and vertical mounting of the device. 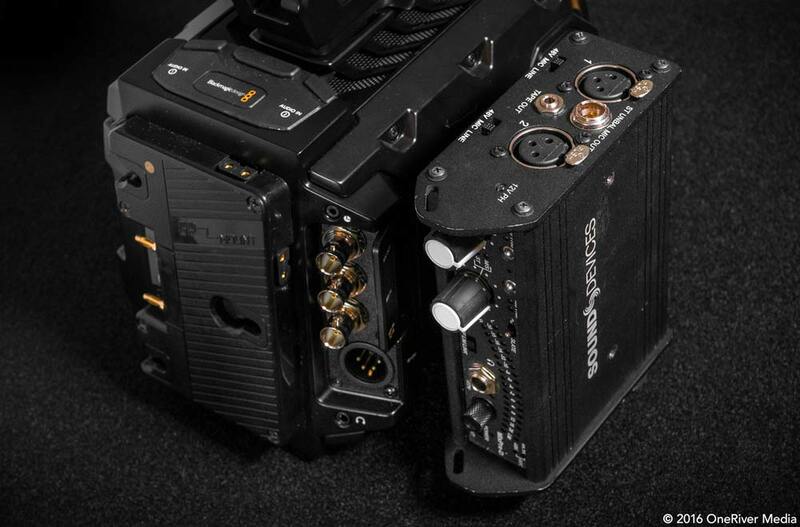 A while back I posted an image on Instagram showing my Sound Devices MixPre-D attached to my Blackmagic Design URSA Mini 4.6K. I finally got around to putting together this how-to article that include using low-cost parts so you can apply this to your URSA Mini rigging as well. The first key to this is getting a blank SmallRig ARRI style Rosette plate. Although this could be done without the plate, I highly recommend getting the $14 plate to ensure the Rosette teeth on your URSA Mini don’t get gnarled. To add, if you don’t get this exact rosette plate, you need to make sure that you get one that does NOT have a center thread or any square knobs on the back. It must be completely flush like this SmallRig rosette. The next step is buying a M6x20 countersunk screw to mount the Rosette plate to the URSA Mini (preferably with an allen/hex key hole rather than flathead or phillips). Unfortunately the female thread in the URSA Mini is not a standard 1/4″-20 thread we typically use in camera gear and is instead the metric M6 style. Not a big deal, as these M6 screws literally only costs a few cents at the local hardware store or a few bucks on Amazon. 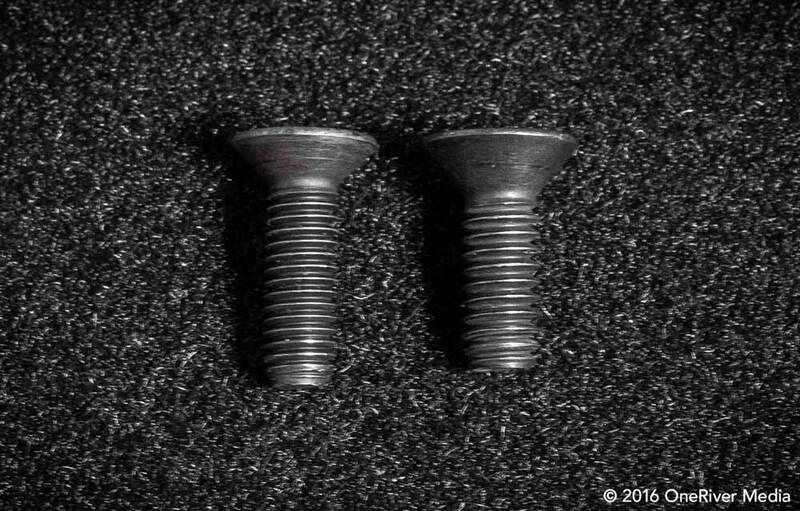 Note the difference in the threads between the M6x20 metric screw on the left and the 1/4″-20 imperial screw on the right. For this setup, you’ll need the M6x20 metric screw. Next on the list is a quick release plate. There are TONS of quick-release plates on the market and you may already have one. For this setup, I used a Giottos MH 652 quick-release system because the QR release knob extends out, making it easier and quicker to release the device from the URSA Mini when needed. Of course, if you already have a QR system you prefer, then try that first to see if it works out. 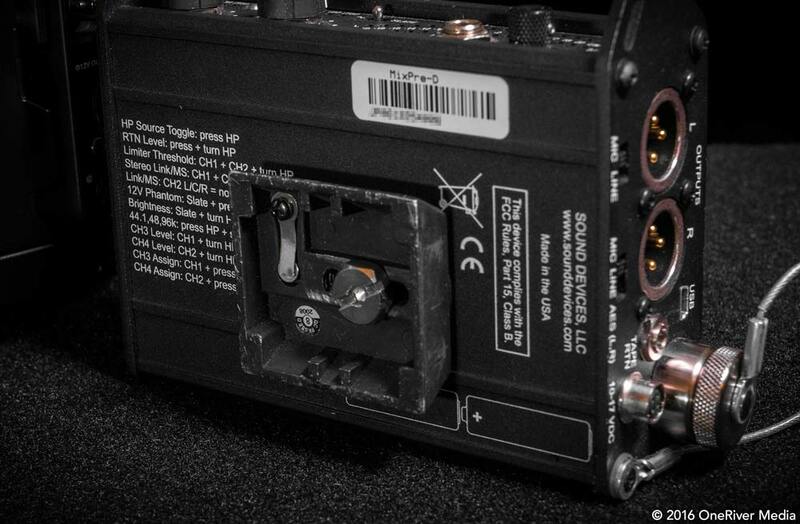 Giottos MH652 plate on the Sound Devices Mix Pre-D. The rest of the parts ready to be assembled together. 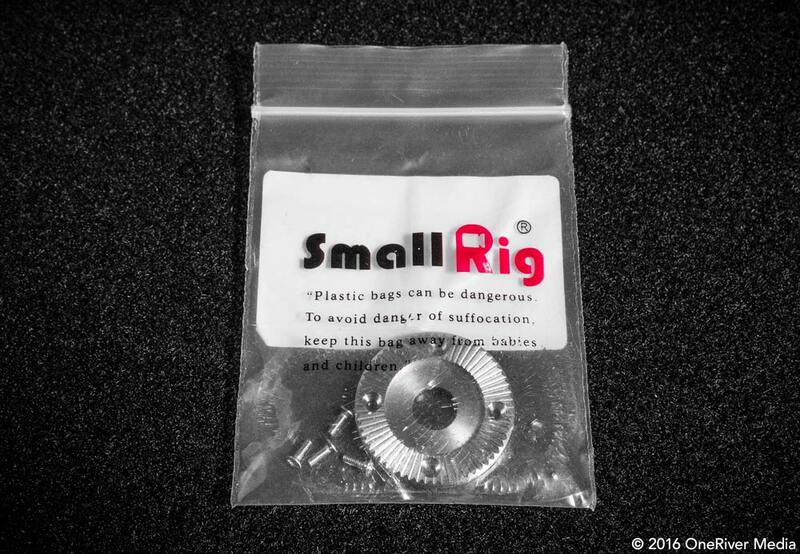 The SmallRig rosette plate fits snuggly on the URSA Mini’s rosette receiver. The Giottos MH652 quick-release receiver base fits firmly on the URSA Mini without damage to the Mini’s existing rosette receiver. Both units have their QR parts applied and can now quickly be joined together. 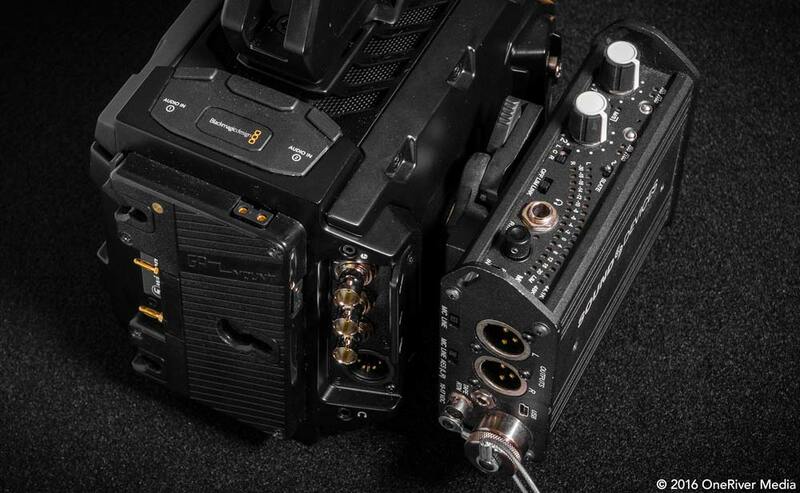 Sound Devices Mix Pre-D mounted snuggly to the URSA Mini 4.6K. Notice how the Giottos’ QR lever is very easy to activate between the two devices. By simply rotating the mounting plate on the Mix Pre-D by 90°, the Mix Pre-D can be operated in a vertical position. This can be good if the camera is mounted very high on the tripod (like shooting a news event where everyone raises their camera to its highest level) and you need to look UP at the camera and Mix Pre-D.
Vertically mounting the Sound Devices Mix Pre-D to the URSA Mini. 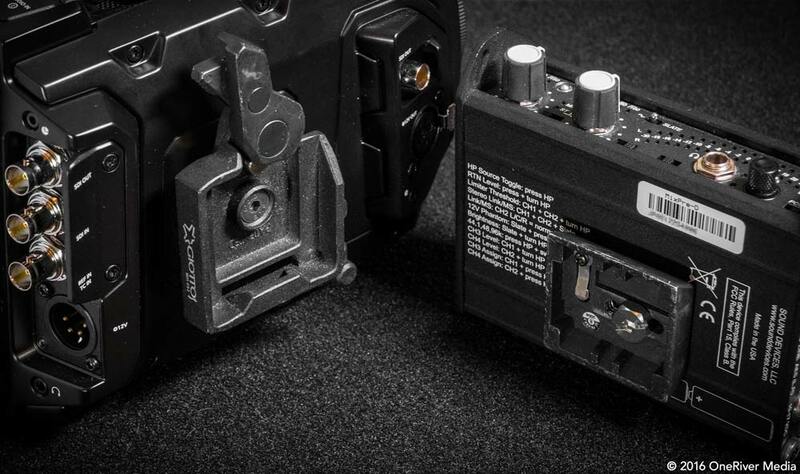 Vertically mounting the Sound Devices Mix Pre-D to the URSA Mini and easy-to-access QR lever. 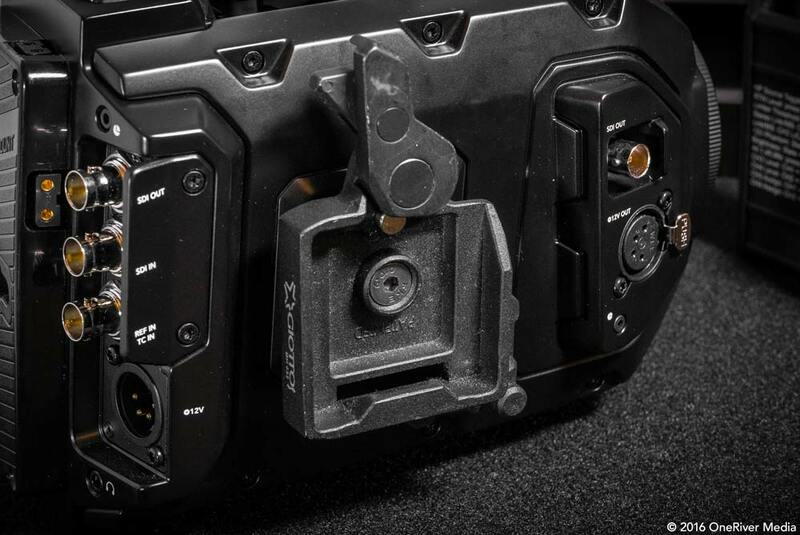 This method allows any device to be mounted to the URSA Mini so long as the device you want to mount has a female 1/4″-20 thread in its body (most camera devices do). The Zoom F8 mounted snuggly to the URSA Mini 4.6K. 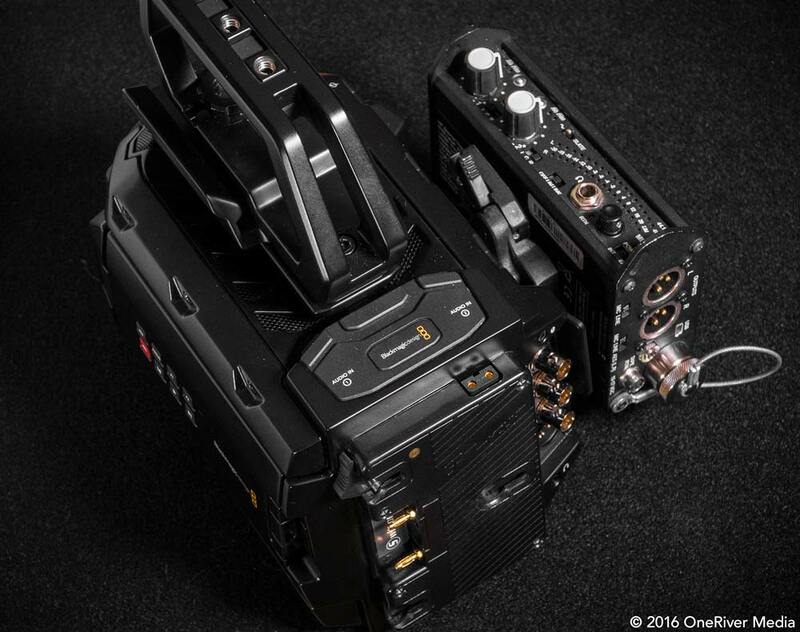 Is mounting the Zoom F8 to the URSA Mini overkill? Who cares… I like having the option if I ever needed to do this. Especially since the Zoom F8 isn’t too terribly large and offers a TON of audio features. 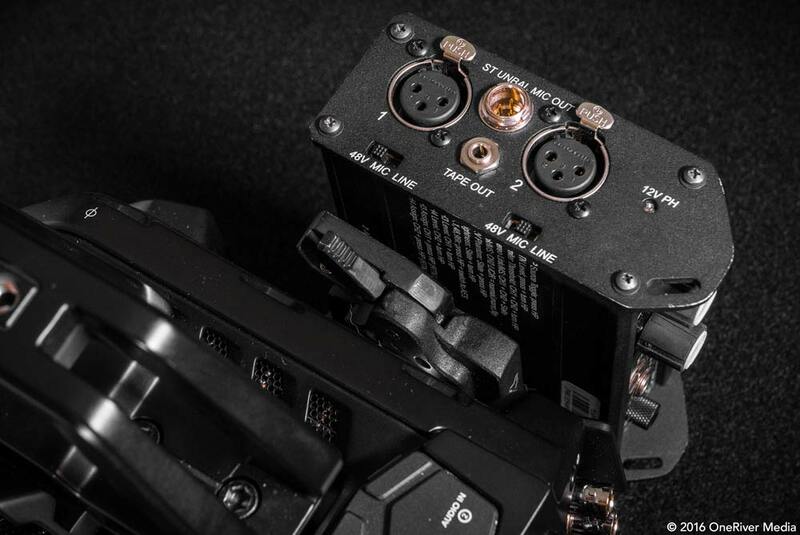 Plus the F8 has timecode out so both devices can share the same timecode (by connecting the F8’s timecode output to the URSA Mini’s timecode input). Works like a charm and there’s nothing to set up (once the URSA Mini detects incoming timecode, it uses that when recording). Tip: Tap the timecode display on the touchscreen to toggle between clip length and slaved timecode readout. You can also use a Hirose 4-pin to D-Tap/P-Tap cable to power the Mix Pre-D or the Zoom F8 from your URSA Mini’s battery plate. That’s all there is to it! 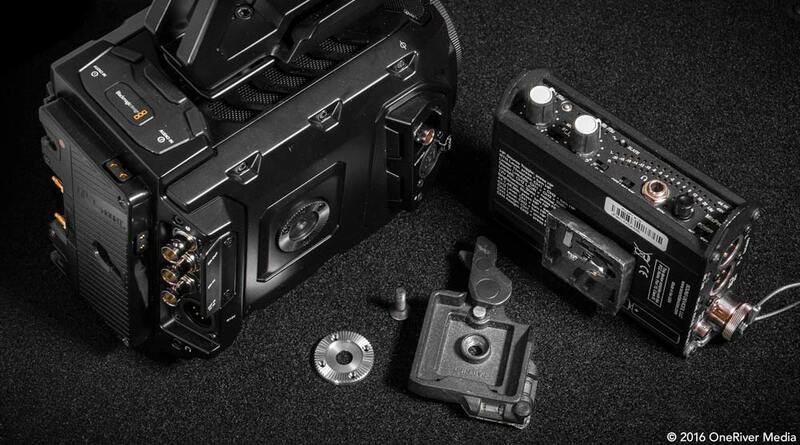 Hopefully this will help you mount whatever you need to your URSA Mini. Happy shooting! Hi Marco. Thank you for sharing this! It’s a fantastic mounting tip. You mention running timecode from the F8 into the Ursa Mini and say that it works. This is the first I’ve heard of anyone getting the timecode input on the Ursa Mini to function properly. 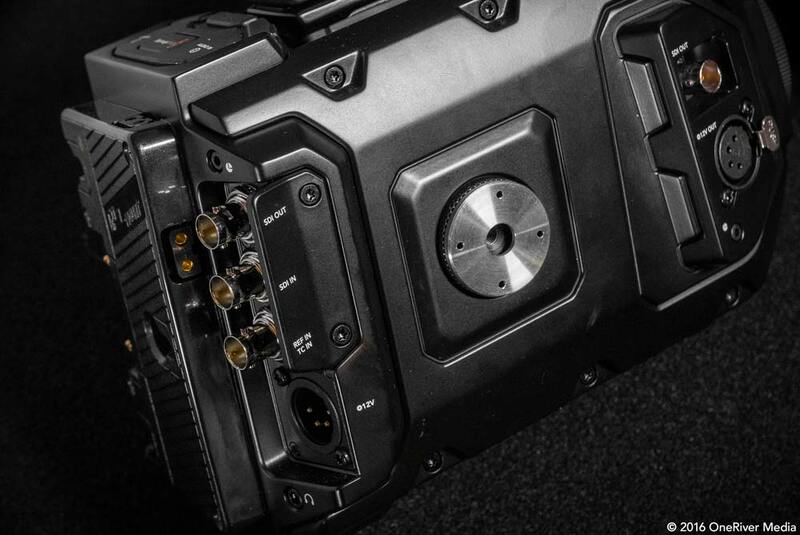 All other reports on testing this, even with the new 4.0 firmware, have stated that the timecode (and sync) on the Ursa Mini is a few frames behind. Captain Hook even mentioned it was still an issue in the release announcement for 4.0. I’m very curious to learn how have you managed to avoid the frame lag when running external timecode into the Ursa Mini? Good to know, Jamie. I’ve only tried using the timecode between the F8 and URSA Mini since the OS 4.0 beta update but haven’t done a deep analysis of frame accurate mirroring yet. Since it appears this is a known issue within BMD, I’ll wager the few frames of delay will be addressed in the next OS 4 release for accuracy. Thanks for pointing it out. One additional question dealing with recording delay. I see that you use the Sennheiser AVX lavs. I do also and think they are fantastic, but the 19ms delay in the AVX signal has been a problem when I’m running the AVX lav into channel 1 and a wired shotgun mic into channel two. 19ms may not sound like much but because the wired shotgun has zero delay the result is an echoing sound between the two channels of audio. Have you run into this and if so, have you found a work around in camera? The F8 allows the ability to delay a channel by a set number of milliseconds which solves it, but I haven’t found a solution for times when I’m unable to use the F8 and have to run an AVX lav plus a wired shotgun direct into camera. The only times we’ve heard the delay was when the AVX was on one channel and a wired mic on another channel AND there is spill between both mics. No in-camera delay compensation but definitely would be a nice addition. We align the slight delay by adding delay on said channel in the NLE’s audio effects strip. If the AVX is the only audio source, then I don’t do it since the shift is less than a frame of time. Pretty much the same here, though I’ve been adjusting the audio track using the subframe audio editing feature of Premiere of FCPX. How do you do it through an audio effect? Thanks! There’s a basic audio delay plugin you can apply to either the audio track or audio clip (Premiere and Resolve) and by applying it to the track itself, it’s a one-time thing for the edit. Whenever a clip gets dropped into the edit, the audio automatically gets re-aligned with the others. That sounds like a great solution! Are you referring to the standard delay effect in the NLE or a third party delay plugin? If third party, I’d love to know the name. Thanks! what cable do I need to connect timecode out from the Zoom F8 to the URSAmini ? Any standard BNC cable will do! BNC on both ends. Cheers!